On the SWIR market, InGaAs cameras rule. InGaAs sensors (which are hybrids of InGaAs + CMOS components) have been the first sensors used in SWIR imaging. They are the better choice for the 1.1 µm to 1.7 µm wavelength, and can operate at room temperature. Their quantum efficiency of more than 75% above 900 nm helps getting good results even with low signal. Adding a ThermoElectric cooling improves the sensors’ capacities and can also extend their spectral range. Already used in many fields, InGaAs cameras with 320 x 256 or 640 x 512 pixel sensors offer incredible possibilities. They are usually compact, high-sensitive, high-resolution, with low power consumption, and less cost producing than other cooled SWIR cameras. 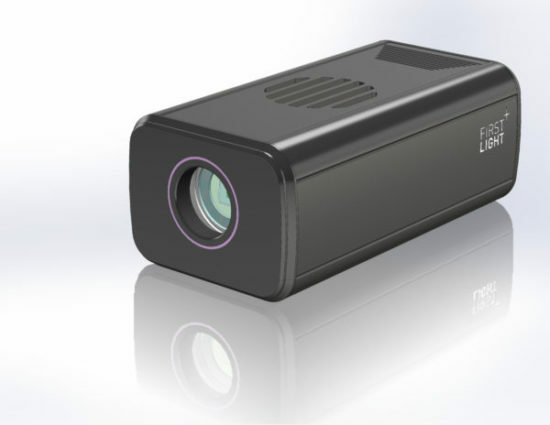 So why creating C-RED 2, when other InGaAs cameras already exist? Because C-RED 2 will revolutionize the market. When existing cameras can offer down to 15 electrons read out noise with LN cooling, C-RED 2 can do better: below 10 electrons Read Out Noise, without LN. C-RED 2 is ultra fast AND low-noise at the same time, revealing unexplored possibilities in Astronomy, Biological Imagery, or Industry, and much more. With C-RED 2, the SWIR revolution is on.